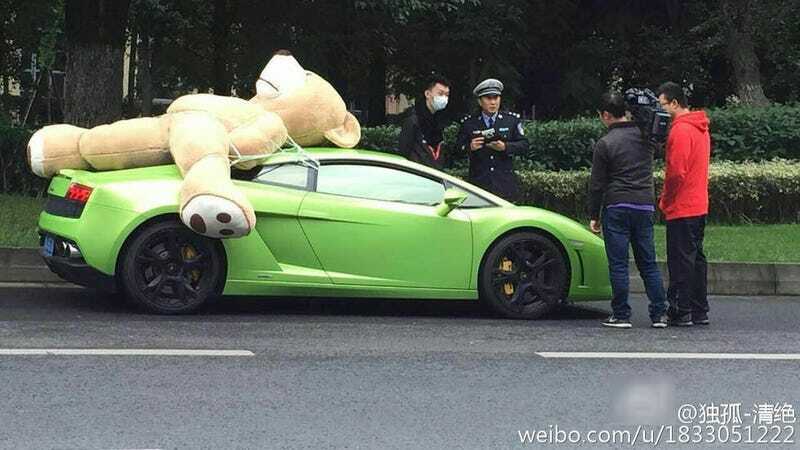 Images surfaced on Chinese social network Sina Weibo that show a Gallardo driver getting into trouble for transporting a giant stuffed bear the only way a Lamborghini allows it. There might be more to this story since that camera guy got to the scene remarkably quickly in the city of Chengdu in southwest China, but who cares? It’s a giant stuffed bear on top of a lime green Lambo! For more images, head over to China Central Television’s tumblr.